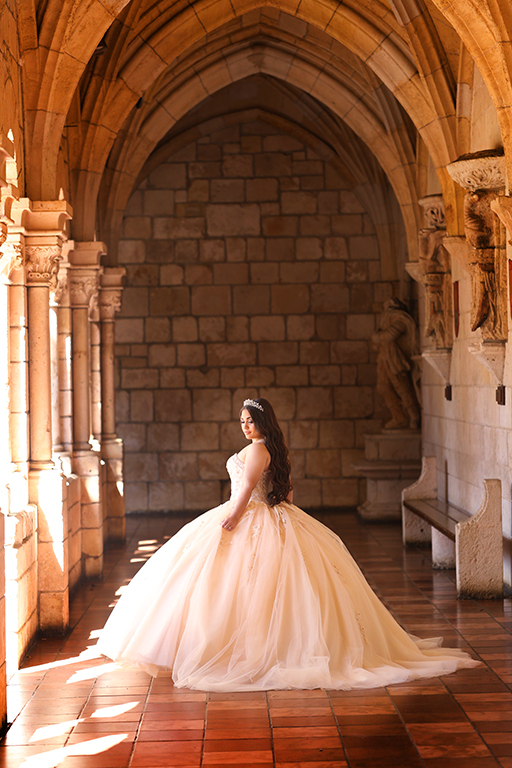 In the beginning, The Ancient Spanish Monastery was the perfect canvas for Quinceanera Photo Shoot. Once we arrived, Jennifer wore an amazing ivory dress from Envious Couture. 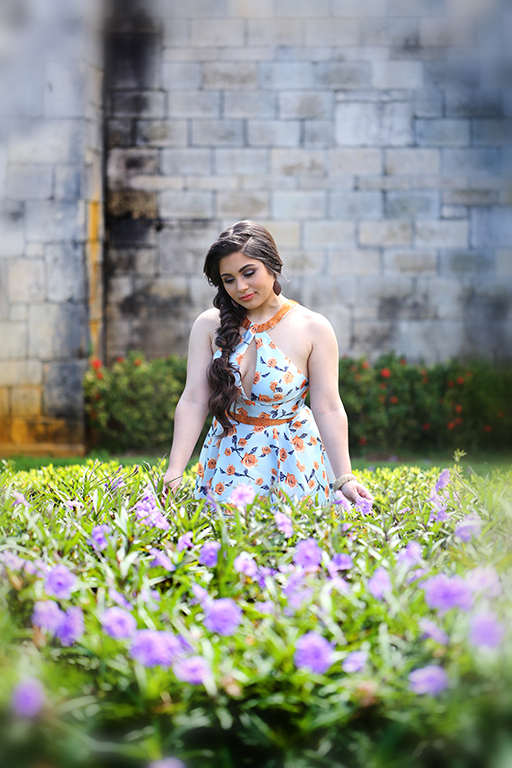 Jennifer moved around this magical location in North Miami with finesse and grace. Moreover, The Monastery is one of the oldest building standing in the United States. Then, brought from Segovia, Spain and rebuilt in the 1950’s. In 1925, William Randolph Hearst purchased the Cloisters and the Monastery’s outbuildings. The structures were undone stone by stone. Next, bound with protective hay. Later, packed in more than 11,000 wooden crates, numbered and shipped to the United States. The Spanish Monastery is considered the world’s largest puzzle. 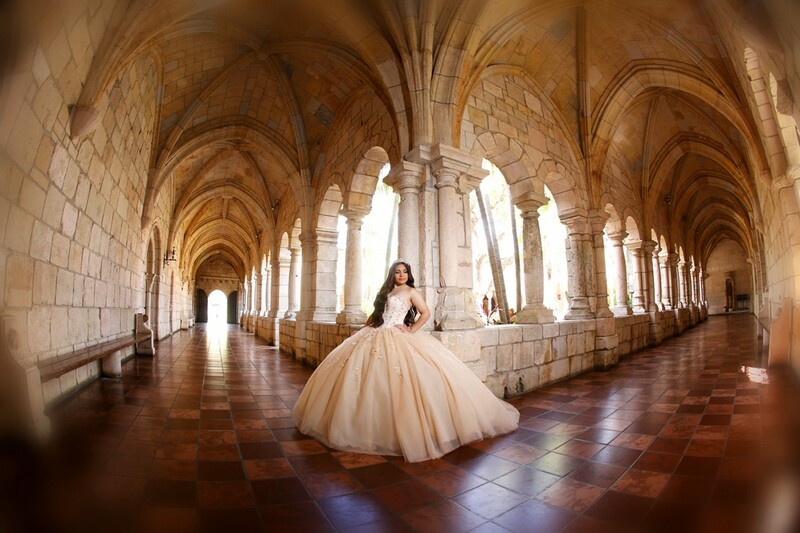 TSM is home to Weddings, Quinces, First Holy Communions and modeling photoshoots alike! As a result, Jennifer spent a beautiful morning strolling around this beautiful grounds. 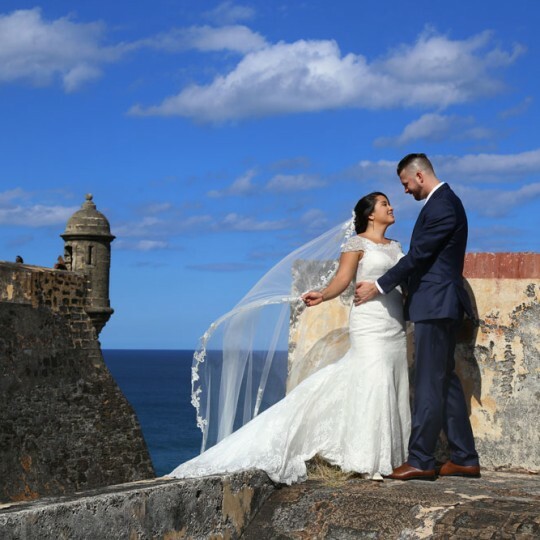 We created timeless memories with the Casas family. 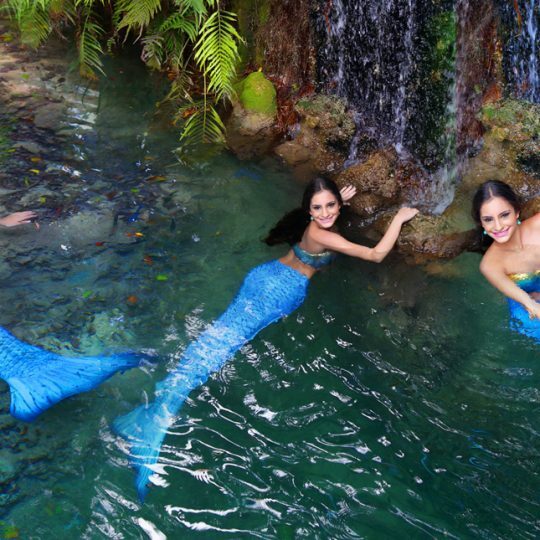 Next, Dalton’s next stop was at the tropical Coral Gardens in Homestead, Florida. 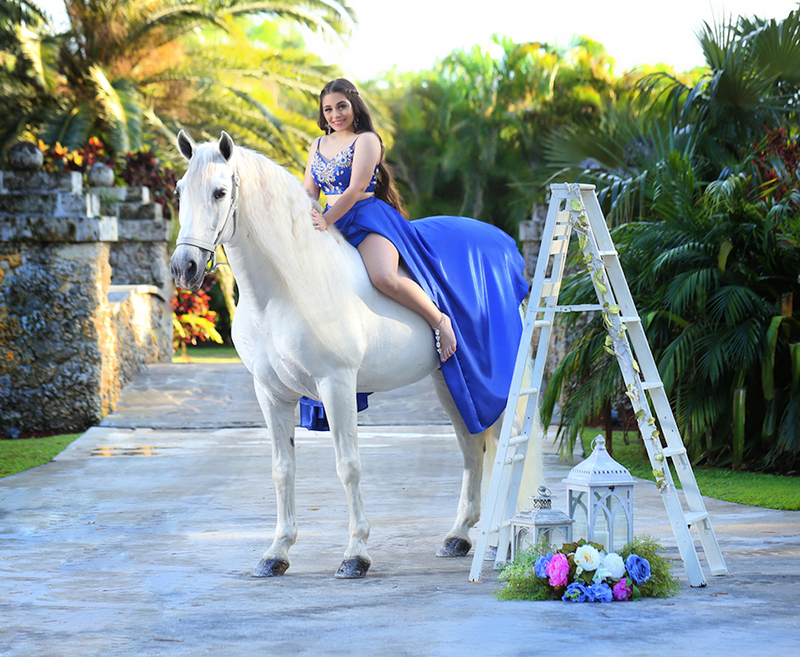 Also, Jennifer was thrilled to ride a spectacular white horse from Andalusia, Spain. This exhibit horse set the mood for enchanting photos. Also, The photographs displayed a majestic size and calming color. 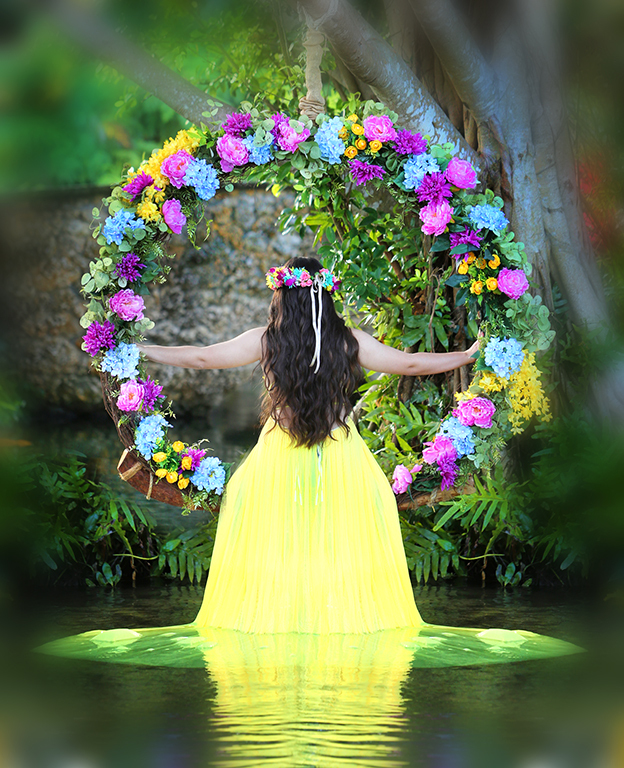 In addition, the beautiful flower arch from crownszitacardin, created a scenery for her pond pictures. In conclusion, we had a great time. Congrats Jennifer! Thank you for allowing us to capture and preserve this awesome time in your life!